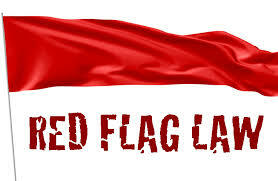 Democrat state senators passed the red flag gun bill by a one vote margin, now all it requires is Gov. Polis’s signature to become law. The lone Democrat holdout was their own leader, Senate President Leroy Garcia, who we reported earlier planned to do so just to screw over fellow Democrat Kerry Donovan so she would be the deciding vote. The gun grab passed 18-17 with Republicans voting against it. Donovan’s constituents are already furious with her for lying on the Senate floor their sheriff supported the bill. And he most certainly did not. Neither do more than half the counties in the state that have declared themselves 2nd Amendment sanctuaries. Democrat Sen. Lois Court of Denver actually argued on the floor Thursday that the bill is not unconstitutional because it saves lives. We’re pretty sure she’s out of her mind. The law is expected to face a court challenge, because the constitution says no such thing.